Hi everyone! Zoe here! Now, I know you’re used to my wonderful mom writing these posts, but today I’m posting on her blog. This post if for all of you kids out there that want to start cooking. 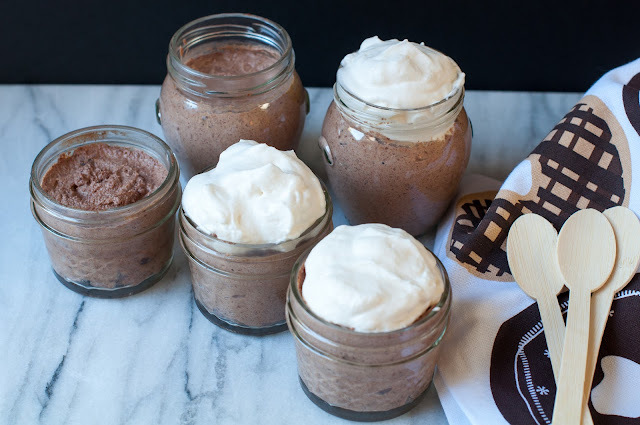 I’m going to show you how to make the best, and easiest chocolate mousse ever. I remember how I found this recipe. We were down in Carmel at this restaurant and for dessert we all split a chocolate mousse pie. It was one of the best desserts I’ve ever eaten. I decided then and there, that I needed to make this recipe. So about a week or two later we were in the library, and I saw this kid’s cookbook from William and Somona. For fun I flipped through the pages, but then something caught my eye. It was their chocolate mousse recipe. Immediately, I checked out the book solely for the mousse recipe. I went home and whipped it up that same afternoon. Everyone in the family loved it and I have been making it ever since. This recipe is so easy. 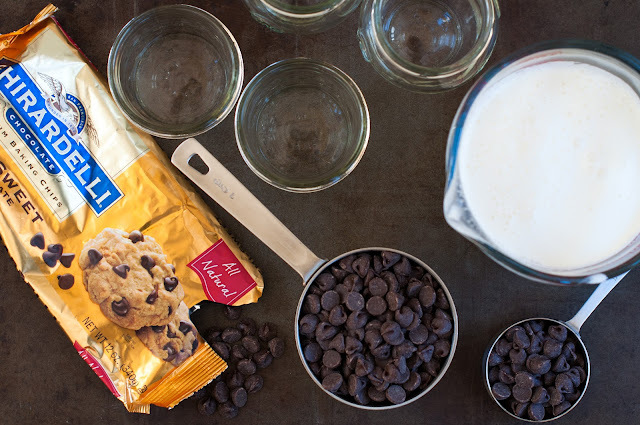 It only requires two ingredients; semisweet chocolate chips and heavy whipping cream. Really, almost anyone can make this delectable treat, even my brother Eli. Today I am going to show you how to make this recipe, with one of my good friends, Madelaine. See, that’s all you need. Now get out your ingredients and let’s get cooking! Fill a small saucepan with about 1-inch of water. Set a small heatproof bowl over the pan. Tip: Make sure the bowl fits snuggly on the saucepan and that the bottom of the bowl isn’t touching the water. Add the chocolate to the bowl and set the water filled pan and bowl over medium heat. Stir the chocolate often, until it is completely melted. This process should take about 5 minutes. Make sure that the water does not boil, and that it only simmers. Adjust the heat up or down if necessary. As you can see we are very serious chefs…. most of the time. 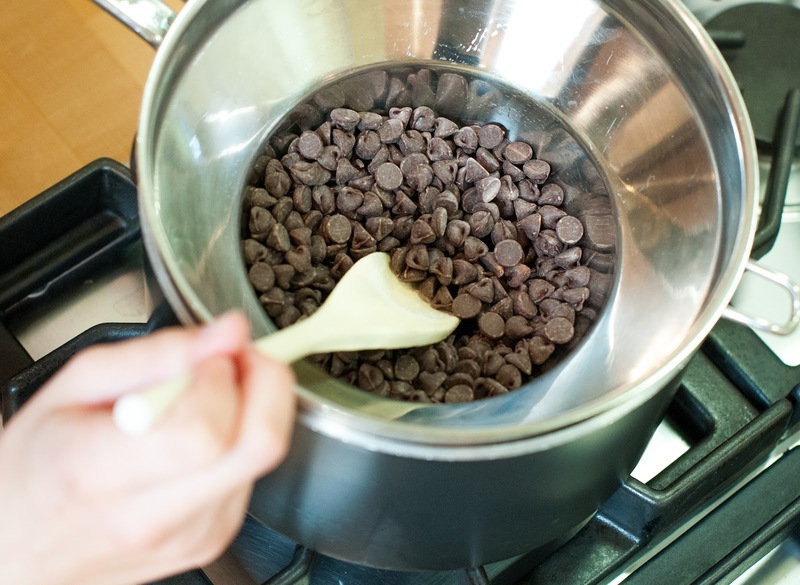 Once the chocolate is melted remove the bowl from the saucepan, and turn off the heat. Set the bowl aside to cool slightly. This is how the chocolate should look when melted. 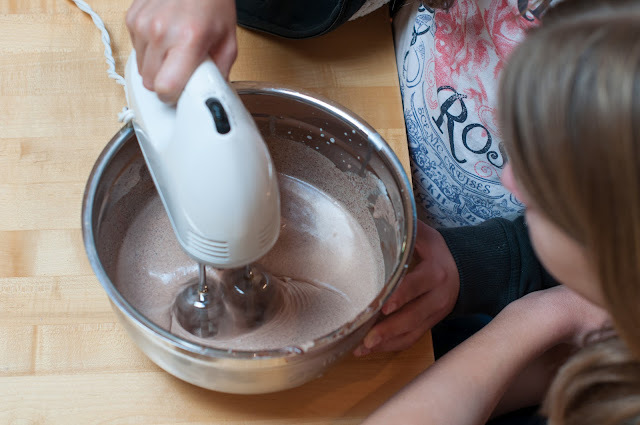 While the chocolate is cooling, pour the heavy whipping cream into the bowl of a standing mixer, or a large bowl if you’re using a hand-held mixer. Beat the cream on medium speed until the cream has slightly thickened, about 30 seconds. Now add the warm chocolate to the cream. 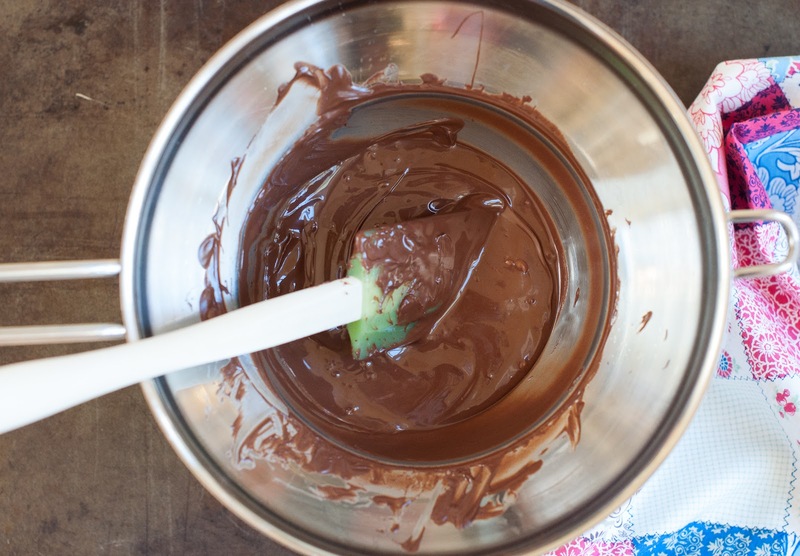 Make sure to scrape down the sides of the bowl with a rubber spatula so you get all of the chocolate out. I had to toss in this photo below as I thought it looked pretty cool and artsy. Once all the chocolate is in there, continue to beat on medium speed, scraping down the sides of the bowl with a rubber spatula until soft peaks form, about 1 minute or so. To test if peaks have formed, turn off you mixer and lift the beaters. If the mousse makes soft little peaks that flop over slightly, then the mousse is ready. Oh, please feel free to test your dessert. I mean, how are you going to know if it’s good if you don’t test it first, right? Mmmm, we tested it, and it was superb. Spoon the mousse in small cups or serving glasses, really whatever you can find in your kitchen. We used old jam jars to hold our mousse. We take our mousse spooning very seriously as you can see. Make sure to get all of the mousse into the cups. Yum! Cover the mousse with plastic wrap and place in the fridge. Refrigerate for at least two hours before you serve. 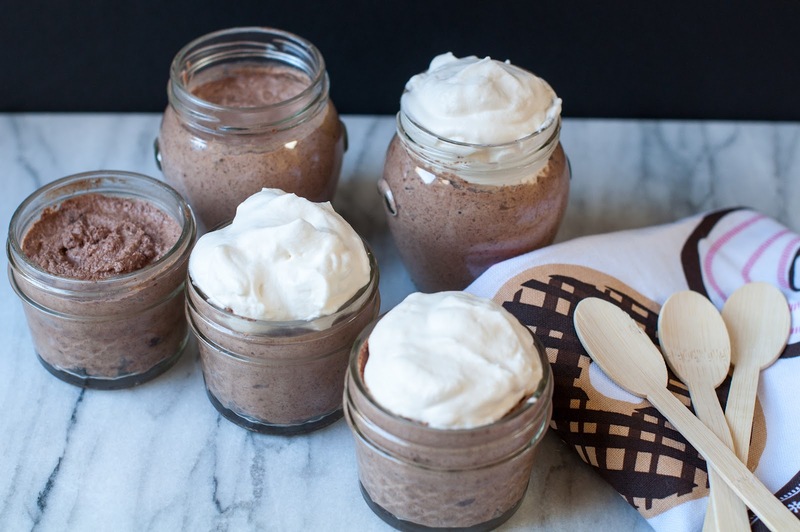 Chocolate mousse is not complete without whipped cream, right? You can either purchase some whipped cream or make some of your own. If you want to make your own, the recipe is below. 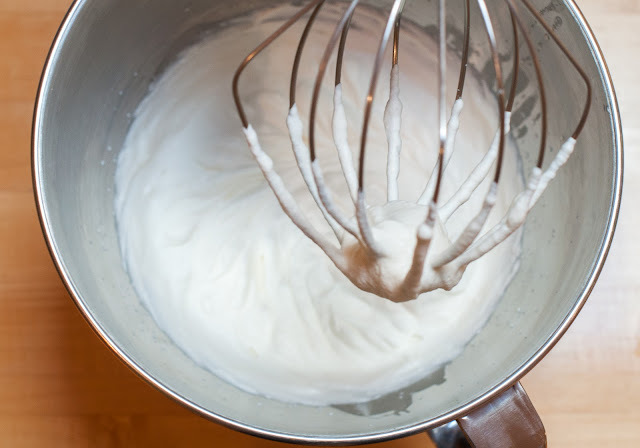 Note: Whipped cream is best served fresh, so if you’re just topping 4 to 5 mousses that night, then you may want to cut the above recipe in half and make a fresh batch the next day. When you’re ready to serve up the mousse, just place a fresh dollop of whipped cream on each one! There you have it. I hope you guys enjoy this recipe and find it easy to follow. 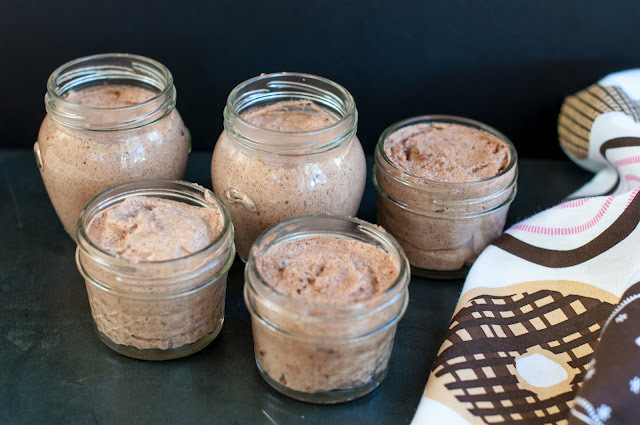 Please leave comment and let me know if you made this mousse and how you liked it. 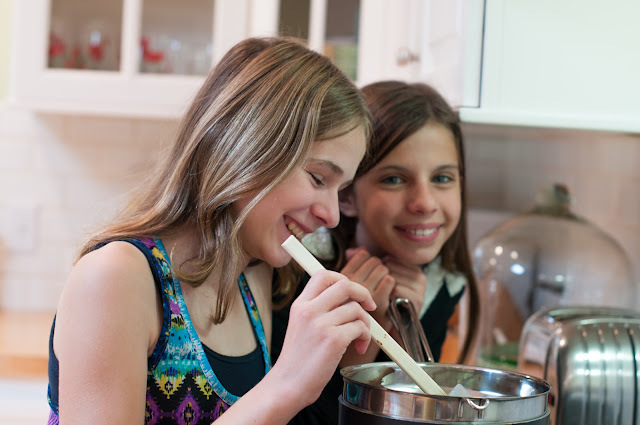 I have another cooking with kids recipe that you should check out as well, dark chocolate hard shell, super easy and super yummy. Hi there! Marin mama here! I’ve recently updated this chocolate mousse to include using bittersweet and dark chocolate bars, as well as a coconut sugar whipped cream. Feel free to check it out! Continue to beat on medium speed, scraping down the sides of the bowl with a rubber spatula until soft peaks form, about 1 minute. The easiest way to see if peaks have formed is to turn off you mixer and lift the beater. 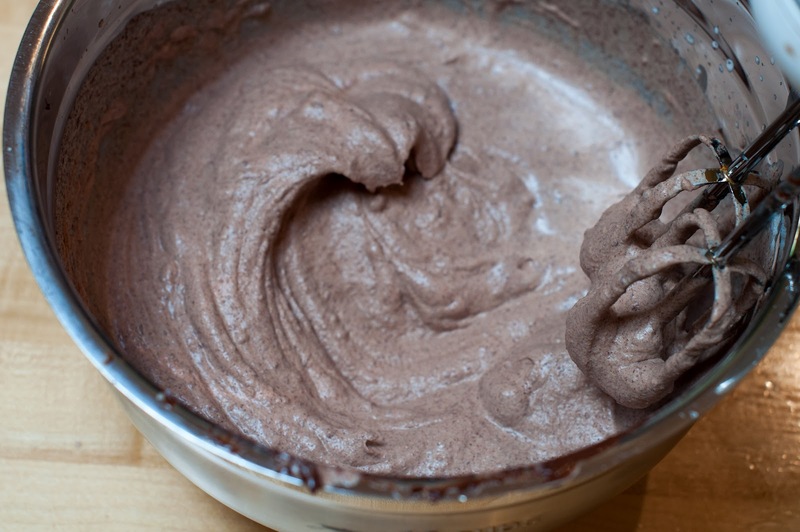 If the mousse makes soft little peaks that flop over slightly, then the mousse is ready. This is perfect for my son to make on his own (with a bit of stove help). He’s 6 and he’ll be very excited to make something so grown-up. You both look like beautiful, clever, young women. Well done. Hi Suz! Oh no! Maybe you can just take out what’s there and put it in the fridge to harden? That’s what I would do. I love chocolate mousse do you? You all look so adorable making this and seems like you had fun too. I was just wondering if sugar was needed in this? I JUST got thing for the mousse. It looks delicios and I’m going to try it. Btw, I make rather nice cheesy breads. Do you want to know about them? I just tried these recipes last night, and they were a hit with my family! I’d never made chocolate mousse or my own whipped cream before, and I enjoyed this experience. 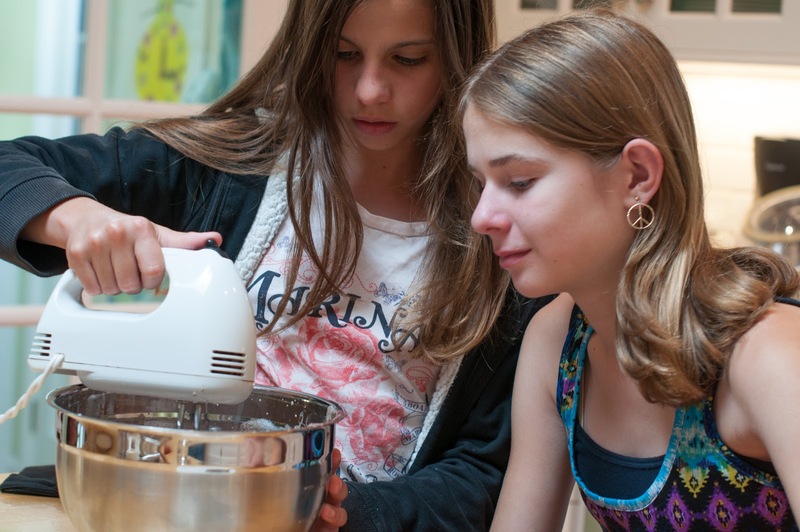 Thank you for sharing such easy and delicious recipes! This was sooo good! It tasted like chocolate ice cream, only way way better! This is by far the best chocolate mousse I have tasted! Im so sorry Im late to commenting to this post – I actually read it on Firday and was dreaming about chocolate mousse all weekend ( I think it would be extra delicious with raspberries and whipped cream on top right?) – but it was so crazy I just didnt have time to comment. Anyhow we also dont have any cooking equipment – but Im collecting it this afternoon and I think I might make Louis this for his birthday next weekend.. chocolate mousse and bread and butter pudding are his two favourite desserts.. but this looks a ton easier… with way less room to go wrong! I’ll keep you posted – Go Zoe!! You gusy totally have to do another cooking video soon! Your chocolate mousse looks delicious! I wish my kids would make it, but I think I will surprise them with it this afternoon. A perfect snack on a Friday afternoon. 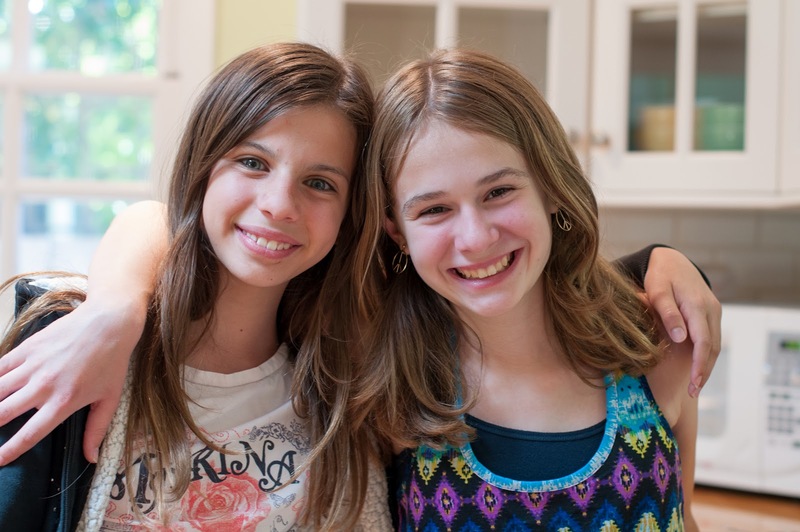 Darling photos of you and Madelaine! Thanks for the recipe! 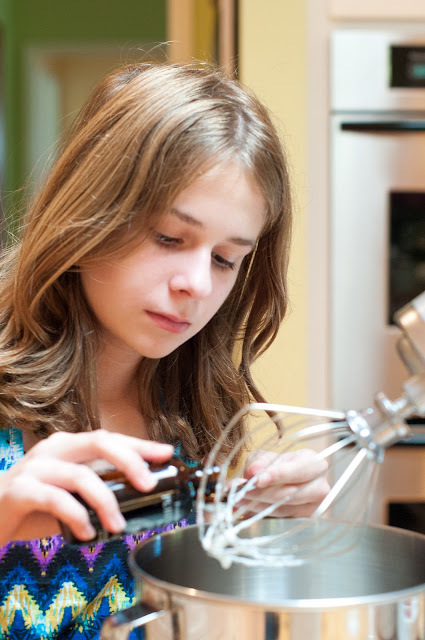 Hey Zoe!What a great job and the mousse looks delicious. I will make it for Grandpa Bill – as he has a sweet tooth – especially chocolate. Loved the pics. And as it looks easy – that is even better. Looks absolutely delicious! I wouldn’t mind if the jars were bigger though! This post made me smile so hard—I love it!!! 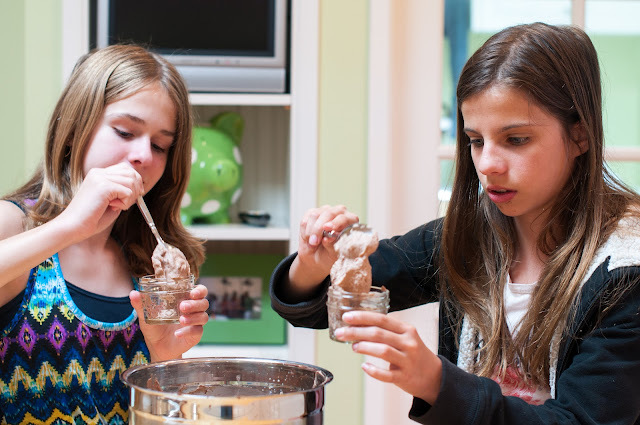 Kids + Fun + Yummies = an unbeatable time!!! Oh Zoe what a wonderful post!! 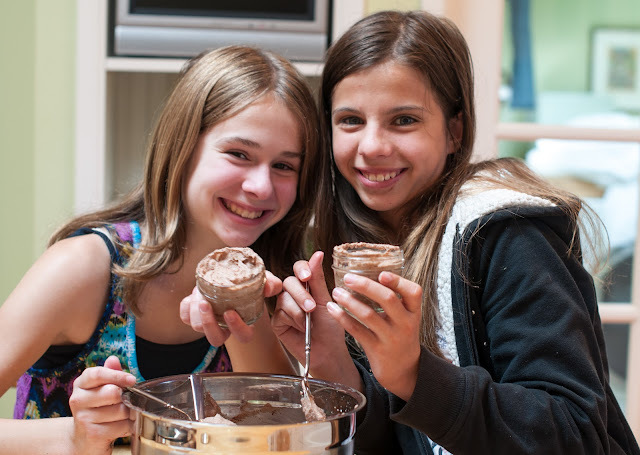 I LOVE your chocolate mousse and you two looked like you were having so much fun making it – then you get to eat it!! Can’t wait to try this – I think your mom is on to a good idea with having her daughter do the work here!! 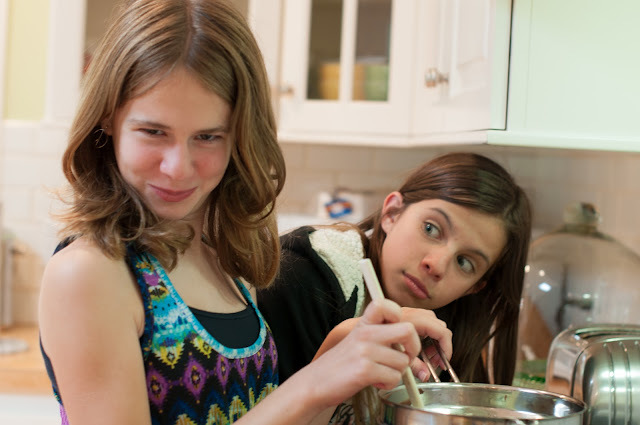 Zoe you’re adorable and such a great cook! My daughter is almost 6 and I can’t wait for her to help me like you help your mom. I was just reading Bon Appetit magazine last nite and saw a recipe for choc mousse and wanted to make it. Yours looks much more straightfoward and just as delish. Thanks for an easy recipe and for this fun post! Ahhhhhh Zoe you are following in your mother’s footsteps!! 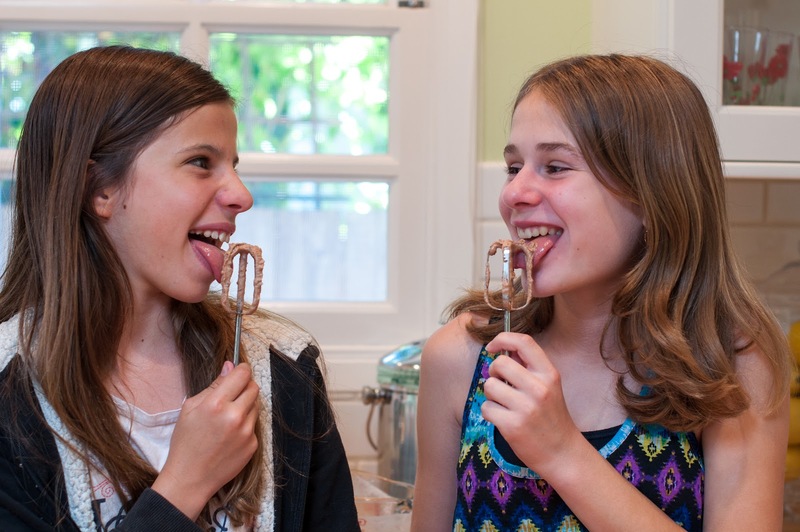 I will try to get Maddie and Katie to try this recipe this weekend. Will let you know how it goes! 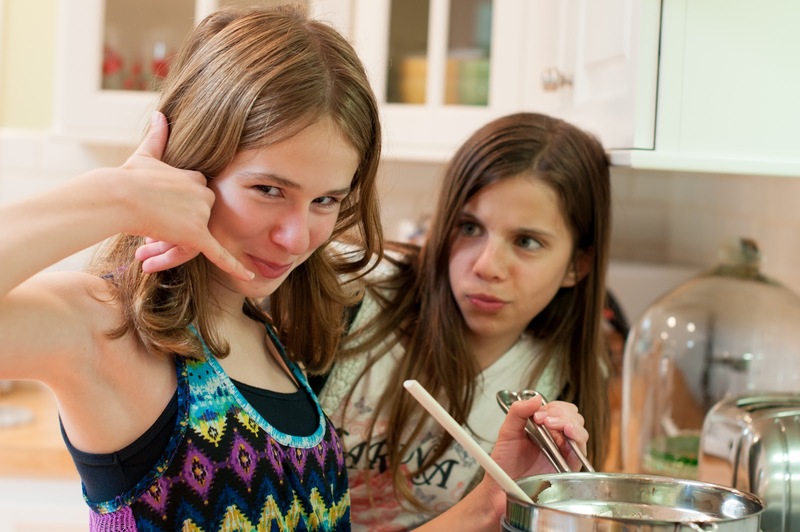 More kid recipes from Zoe please!!!! !